Cristiano Ronaldo could face a four to 12-game ban for pushing referee Ricardo de Burgos Bengoetxea after being shown a controversial red card in Real Madrid’s 3-1 Spanish Super Cup, first leg win at Barcelona. Madrid intend to appeal the second yellow card shown to the World Player of the Year for diving eight minutes from time when he went down inside the area under pressure from Samuel Umtiti, in a bid to free Ronaldo to play in Wednesday’s second leg. 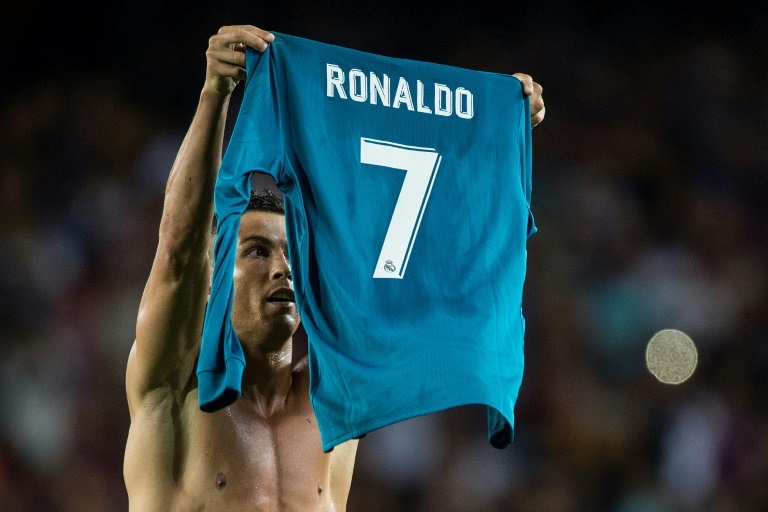 Ronaldo received his first yellow card for removing his shirt in celebration at firing Madrid into a 2-1 lead. “We will see if we can do something so that he is available on Wednesday,” said Madrid boss Zinedine Zidane. However, Ronaldo’s reaction to the 10th red card of his career could see him miss the start of the La Liga season after the referee reported he had been pushed. “Once shown the red card, said player (Ronaldo) pushed me lightly as a sign of his disapproval,” de Burgos Bengoetxea wrote in his referee’s report. According to the Spanish football federation’s rules, such offences are met with a suspension of anything between four and 12 games, but previous cases have resulted in four-game bans. Ronaldo could therefore miss Madrid’s first four La Liga games against Deportivo la Coruna, Valencia, Levante and Real Sociedad.